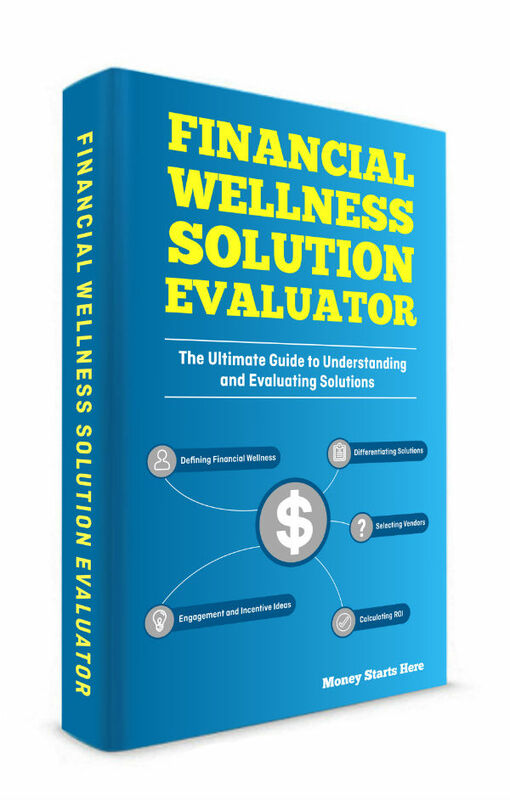 This 13-page guide will teach you what you need to know about Evaluating Financial Wellness Solutions. It’s all here. Made simple for you! 1. What is Financial Wellness? Learn what financial wellness is and why it is quickly becoming a new class of employee benefits. These 6 questions will help you evaluate if your organization should implement a financial wellness strategy. Discover what types of financial wellness solutions are available. Determine which ones will work for your organization and employees. Ever struggle to engage employees? This section offers no-cost and low-cost incentives that will entice your employees to participate in financial health and wellness programs. Features, costs and options vary greatly. Vetting service providers can be challenging. Learn what questions to consider when selecting solution providers. Ever had to justify adding an employer-sponsored, employee benefit to senior management? Learn how to articulate the value of Financial Wellness Solutions, in ROI terms, that stakeholders understand.